Detailed review of Garden of Life Primal Defense Ultra. See how this probiotic supplement compares against all the others! Overall, Garden of Life Primal Defense Ultra is one of my favorite probiotics! There are so many positive qualities to this supplement… I’ll touch on a few here. It uses a wide variety of potent probiotic strains that may help with daily digestion and specific stomach ailments. So it’s very flexible as far as probiotics are concerned. After personally testing out the product, my overall health felt improved, I wasn’t bloated, and I was digesting my food much better than normal. 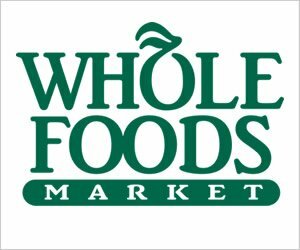 I suffer daily from IBS and a host of food allergies, so when a product can help ease some of my discomfort, I’m thankful and excited to have found it! Another thing I like is that the capsules don’t need to be refrigerated to maintain the live cultures. And the “added” ingredients are pure, gluten-free and vegetarian (not many probiotics I’ve seen are actually vegetarian friendly). First, something to definitely keep in mind is that this probiotic is not safe for kids and it even warns to keep children away from them. The product contains iron, which may be poisonous or even fatal to children if there is an accidental overdose. Second, is that there is a chance of side effects if this probiotic isn’t used correctly. While taking this product, I started out taking too many capsules and ended up with a terrible stomach ache. Once I backed my dosage down a little that issue subsided. 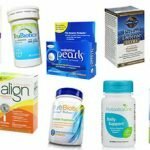 All in all, I think Garden of Life Primal Defense Ultra is a very good probiotic that offers a great variety of strains and potential health benefits for those with stomach ailments or needing daily digestive boosts. Garden of Life Primal Defense Ultra contains13 probiotic strains with 5 billion probiotic cells in each capsule. When taking the probiotic at the recommended 3 times daily, you get a combined total of 15 billion cells. All of the strains may be very beneficial to the body, but I really like that they include Saccharomyces Boulardii. There has been some research done to show that it may help with gastrointestinal disorders such as acute diarrhea, traveler’s diarrhea, Irritable Bowel Syndrone, Ulcerative Colitis, lactose intolerance, and diarrhea associated with antibiotics. Other studies have shown that S. Boulardii may also have positive effects on the body by being antimicrobial, antitoxin, and anti-inflammatory. This strain may also support the body’s intestinal walls, help fight off bacteria that causes acne, and increase the immune response. 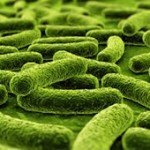 Another great addition to the strain profile is Lactobacillus Brevis. Studies have shown that L. Brevis may help with mouth ulcers related to Behcet’s Syndrome. L. Brevis may also help treat ailments such as vaginitis, urinary tract infections, weakened immune functions, and an imbalance of harmful intestinal bacteria. This strain produces lactic acid, which makes it better equipped to survive the body’s harsh stomach acid and survive until it has reached the gastrointestinal tract. Garden of Life Primal Defense Ultra seems to do a great job regarding allergy concerns. The capsules don’t contain gluten, artificial ingredients, or preservatives. A great bonus is that the capsules are vegetarian! It states that probiotics are cultured in dairy, but that the dairy is generally consumed during the fermentation process. So if you are severely lactose intolerant, be careful with this probiotic or find another one that is 100% dairy-free. This product does contain rice, oat grass, and barley grass. 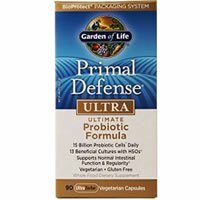 Garden of Life Primal Defense Ultra comes in at $33.99 for 90 capsules. If only taking one capsule daily, the price is 37 cents a day (which is cheaper than average). However, if you bump up the dosage to 3 capsules a day, which is recommended, the price comes in at $1.13 a day. Keep in mind that a price tag over $1 a day is pretty expensive compared to other probiotics. Unfortunately, I did have some side effects while taking this probiotic. When I first started taking it, I had terrible stomach aches and belly cramps that lasted a few days. Please take the directions seriously on this probiotic! 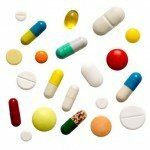 They recommend starting with 1 capsule a day and gradually increasing to 3 capsules a day. I figured I was probiotic Super Woman by now and didn’t need to heed their warning and it definitely backfired. Once I backed down from my overzealous, 3 capsule regimes to 1 capsule, I felt totally fine. So the side effects are probably my fault for jumping the gun and going to the full dosage right away. Unfortunately, we didn’t see a satisfaction guarantee on the Garden of Life website. However, if you look around some of the websites that sell this probiotic, you may be able to find some sort of guarantee or return policy. To buy Garden of Life Primal Defense Ultra, click here.